Vauxhalls flagship Insigna, the four-wheel-drive 2.8-litre Insignia VXR, is now available in de-restricted form, giving it a top speed of 170mph. The de-restriction is a £250 option, and it raises the top speed from the standard models limited 155mph. De-restricted ‘Unlimited’ models can be identified by blue Brembo logos on the front brake callipers and a redesigned speedometer and tachometer. The 325PS turbocharged V6 engine VXR is available in hatch, saloon and Sports Tourer body styles. The Unlimited model has been extensively tester over 10,000KM on the Nurburgring. 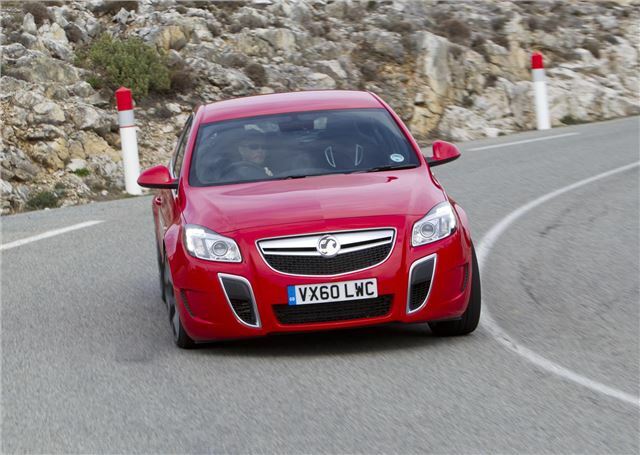 “For those owners who enjoy driving on the continent, the Unlimited option lets them experience the Insignia VXR’s true top speed, combined with the peerless stability and secure handling that only an all-wheel-drive chassis can offer,” said Stuart Harris, Vauxhall’s Group Product Manager. The Unlimited option is available at Vauxhall dealers immediately.